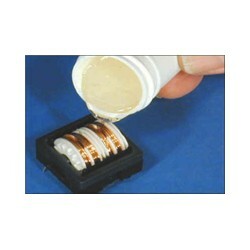 This is a two part laminating epoxy with high strength and ultra high temperature it can be used up to 260°C. Duralco 4461 has excellent adhesion to metals, ceramics, plastics, glass etc and cures at room temperature to provide chemical, solvent and corrosion resistance in any high temperature application. Examples of use include encapsulation of electronics, laminating carbon fiber cloth for high performance rockets.